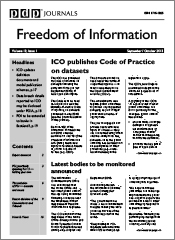 Found this blog post from David Higgerson giving 6 tips to journalists using FOI. Although I’d query some of the more cynical statements there (there does seem to be an assumption that we spend our days working out how best to frustrate journalists), the tips here would in the main be good starting points for anyone thinking of making a request. 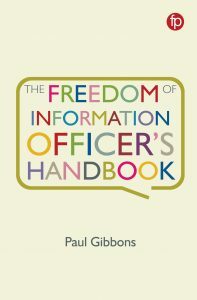 In particular, a friend of mine in central government gets very frustrated that people seem determined to ‘demand’ particular information through FOI, when they’ve actually always been very willing to provide the information when asked informally, and would be happy to advise anyone who contacted them. 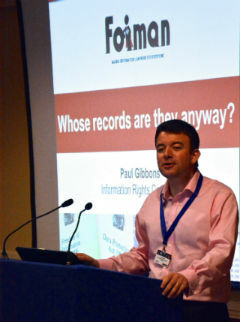 (I have pointed out that if they’re willing to provide the information, there’s nothing stopping them just getting on with it, but their procedures are apparently quite rigid in terms of how they handle enquiries which cite FOI, eg they have to seek approval, which of course slows things down). Similarly, I’d agree that a bit of research before making your request goes a long way – David gives the example of asking about “delayed discharges” in NHS Trusts instead of “bed blocking”. Mind you, he also suggests that “it reduces the chances of an active misunderstanding of your FOI request”. I know that does on occasion happen, but it might occasionally be good if journalists applied Occam’s Razor when authorities have misunderstood their request, ie the simplest solution (that we actually just didn’t understand it) is usually the correct one. So thinking carefully about how your request is phrased will always help. It is interesting though, so do take a look. Hi – thanks for the link. Generally, I’ve had nothing but great help from FOI officers, but I do get a lot of stories from people who say otherwise. It wasn’t intended to be overly-cynical. Hi David – no problem, I’ll carry on following your blog, as it looks useful. I think that there’s always going to be an element of sensitivity on both sides in relations between journalists and FOI Officers, and the pieces here are always going to reflect the FOI Officers’ point of view. I also want to challenge the tone of most stories in the media that don’t reflect what you say about getting great help from FOI Officers (for entirely understandable reasons – “public authority complies with law” isn’t a great story most of the time). But I do want to strike a balance and be fair in my comments, so will try to ensure that happens. And you’ll note that I haven’t denied it happens from time to time! I was thinking of adding a link to your blog from mine – any chance of adding a link to mine in return? Hi – thanks. Already done!